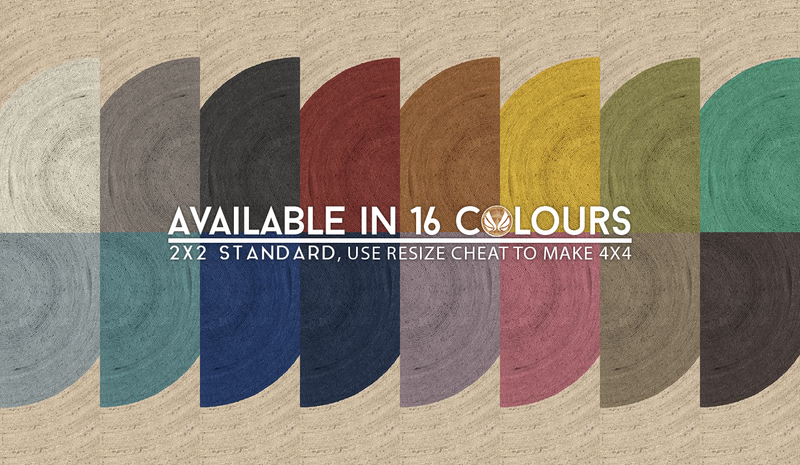 Update 14/01/2016: I have added a 3x3 variant of this rug that you can download. After it was pointed out that is an optimal size, i decided to whip one up with the existing textures using the other round rug as a base. You can now have 2x2, 3x3, and 4x4 (using enlarged 2x2) rugs for your game. Enjoy. I love rugs (and you can probably tell) but it has been a while since I made some. 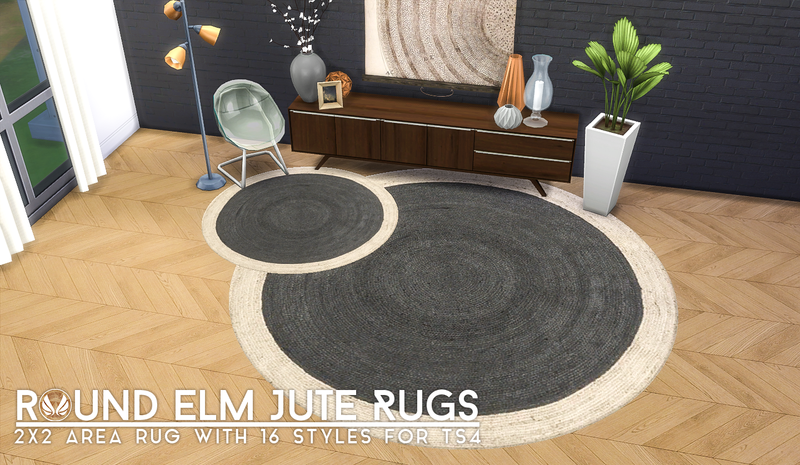 I also love natural textures, so I automatically love jute rugs. When I spotted these on West Elm, I had to have them for my game. Now you can too. 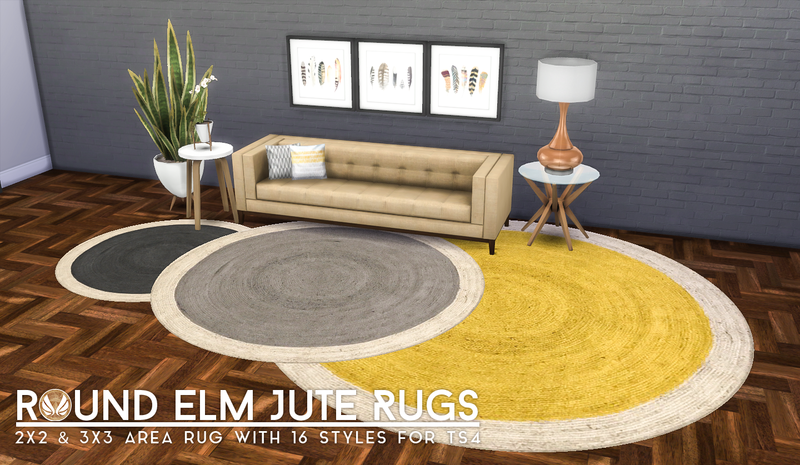 The original size of the rug is 2x2, but I increased texture size so you can use the enlargement cheat (bb.moveobjects then shift + [ ) to make it a 4x4 rug, great for larger spaces.